Thermography allows you to see what you may not yet feel. Thermography is a physical level assessment. Thermography is also known as Digital Infrared Thermal Imaging (DITI). 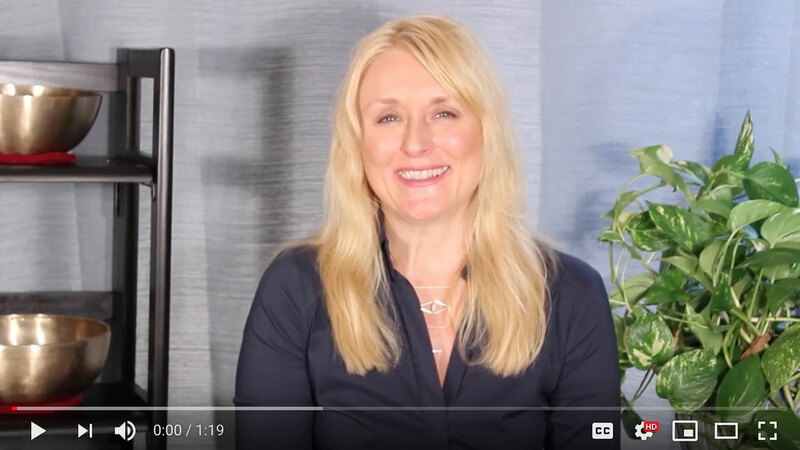 ​Clinical Thermography is a simple test of physiology that relies on the sympathetic nerve control of skin blood flow and the ability of the sympathetic nervous system to respond to and react to pain, pathology, injury or dysfunction anywhere in the body. While other diagnostics such as ultrasound, radiography, and mammography show the body’s structure or anatomy, DITI is unique in that it shows physiologic and metabolic processes. Thermal patterns displayed on the thermogram are as unique as fingerprints. In healthy people there is a symmetrical thermal pattern that is consistent and reproducible for that individual. Injury or disease will result in thermal asymmetries. Our state of the art Flir digital thermal cameras will record these thermal patterns in a thermograph in precise detail with a temperature sensitivity of 0.01°C. WHAT CONDITIONS CAN IT DETECT OR MONITOR? Standard region of interest exams take approximately 15 minutes and a full body scan takes approximately 30 minutes. Be proactive by screening for inflammation, inflammatory breast cancer, DCIS, lymphatic congestion, hormonal imbalances as VERY EARLY detection saves lives AND breasts! This thermal imaging series will screen for tumors of the breast, inflammatory breast cancer, and lymph node activity under the arms. This scan is recommended for both men and women. The scan covers from the top of the head to just above the pubic bone. It includes all major organs, lymphatic, breasts, periodontal issues, Carotid artery, coronary issues, visualizes pain, intestinal inflammation, etc. This thermal imaging series will screen: Full cranial and thyroid (includes Carotid Artery), periodontal inflammation, back of neck (PNC), full breast scan and lymph node activity, full back (upper & lower), stomach, visceral (abdomen), large & small intestines, kidneys, colon, ovaries, uterus, prostate, testicles. This scan is from the top of the head to the bottom of the feet. It includes everything in the Health Screening PLUS the bottom of the feet, the legs, and the lymphatic in the upper thighs. This scan will catch phlebitis, problems from varicosity (varicose veins), and covers the arms and hands. ​​​​Digital Infrared Thermal Imaging (DITI) has been recognized as a viable diagnostic tool since 1987 by the AMA Council on Scientific Affairs, the ACA Council on Diagnostic Imaging, the Congress of Neurosurgeons in 1988, and in 1990 by the American Academy of Physical Medicine and Rehabilitation. A number of studies have been done to determine DITI’s interexaminer reliability and validity. A study of DITI in low back pain patients found interobserver reliability. In a study of patients with knee pain, test efficiency and interrater reliability was found. 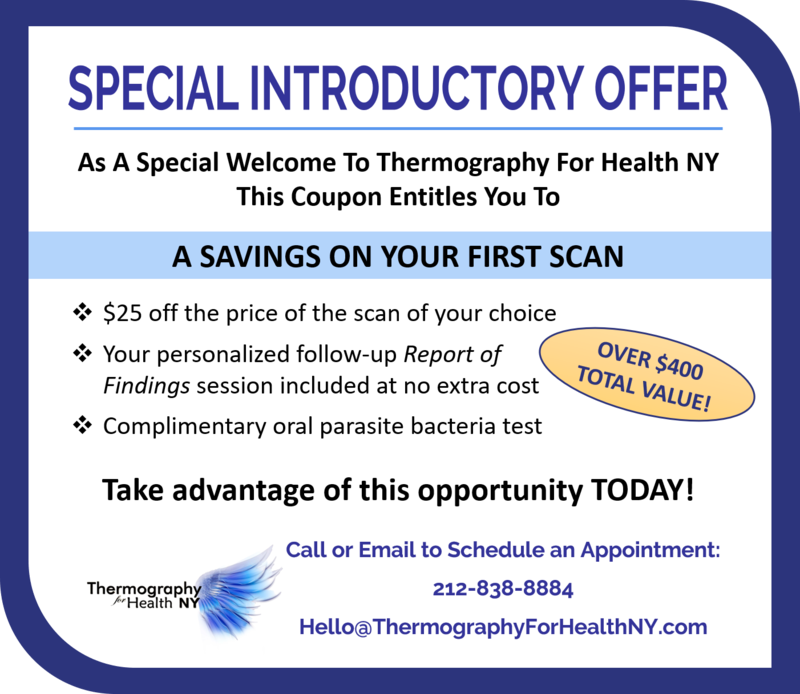 If you have been experiencing various symptoms and want to explore the benefits of Thermal Imaging, schedule an appointment with Thermography for Health NY today! Oral infections are a significant risk factor for many other diseases such as diabetes, heart disease and cancer. 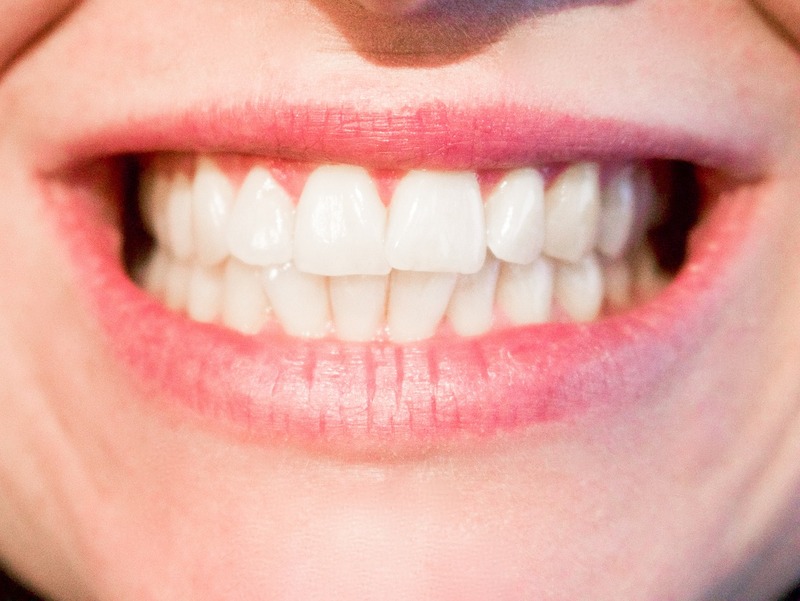 Bacteria from infections in the mouth can invade the bloodstream and cause inflammation elsewhere in the body, inhibiting recovery and contributing to the future progression of a disease or its recurrence. Oral infections are a chronic strain on the immune system and the body as a whole. Please take advantage of this opportunity for a complimentary oral parasite and bacteria test administered by Dentistry for Health NY. The knowledge gained will enhance your choices for supporting your body’s ability to heal and recover.